An often viable alternative to a purpose built video editing software program for those whose needs are modest can be in the form a a multimedia program that comes loaded with a video editing module. Before we go any further on this page and in the interests of keeping things simple you should approach these types of programs with at least a little caution and with your eyes wide open. In the case of video editing you may want to look on this page for a purpose built video editor or on this page if you need a DVD or Blu-ray program. The marketing of software these days is largely built on the concept of creating a “wow!” effect in the potential customer, triggering a sale. The “wow!” is most easily achieved by the presentation of a vast array of awesome features that can do amazing things! Unfortunately very often the majority of those “amazing things” prove to be utterly useless to the end user when it comes down to what they are really going to do with the software. This strategy is alive and kicking in the world of multimedia software suites because they inherently have a bunch of features anyway so it is important to keep a cool head! Although within the various brands of software available there will be some variation, these are the basic capabilities you will find in a good suite. A dedicated video editing module. A dedicated audio editing module. A dedicated image editing module. A video and audio playback module covering MP3, CDs, DVDs and Blu-Ray including HD and 3D capability. A library module allowing integrated organization of all media files. A Disc burning and copying module which also allows output to a range of file formats for distribution to services such as YouTube or to mobile devices. Some kind of connectivity with mobile devices. Below I have listed the three main contenders in this market but please take note that they are not listed in order of preference or desirability. Each one covers the basic requirements of a multimedia suite more than adequately and all three are well matured, stable and well maintained products. In all honesty you can’t really go wrong with any of them so a choice of which one comes down to your personal needs. 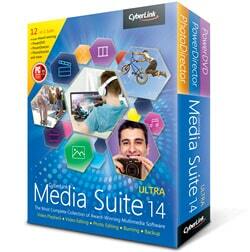 Cyberlink Media Suite comes with all the main features of a well balanced multimedia software package. If offers a very good audio editing and manipulation module, a similarly good image editing program as well as all the other basic features you would expect. Although very good at most things it is within the video editing part of the program that Media Suite excels although it must be noted that of all three programs listed here it’s integration with various social media properties (think FaceBook etc.) is the best. Essentially what’s on offer here is their award winning consumer level video editor PowerDirector packaged into the suite. This has been my top choice for a video editor for a few years now and offers an enormous feature set to the average home movie maker in an easy to use interface. Of all the choices listed here it offers easily the most user friendly interface and is very much aimed at the person who just wants to get the job done. Nero started out in life many years ago in the days when CD burners and a little later DVD burners were introduced to home computers. At that time it was considered a rather exotic subject and way out on the leading edge of technology! How things have changed! 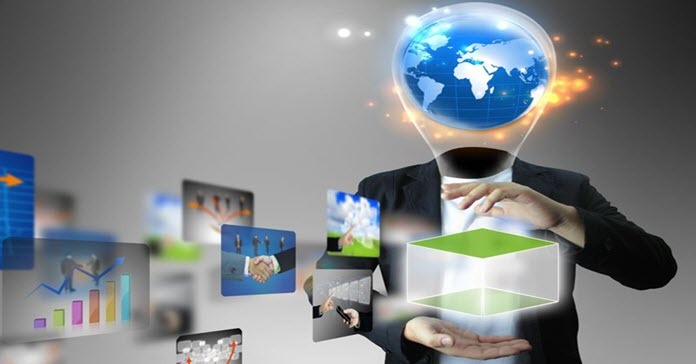 Because of those origins and the subsequent development of the technology Nero has had to adapt to a new world order in terms of what value their software offers. It is that ancestry that gives Nero 2018 the strongest feature set of all three programs when it comes to handling discs of all types. This isn’t just confined to burning or copying CDs, DVDs and Blu-ray discs. It extends to an incredible set of features that allow all sorts of manipulation of files in general as well the ability to output to a wide range of formats. In keeping with this it also offers a very powerful set of disc recovery tools and data retrieval programs and in fact on my DVD Disc Repair page it is one of the main tools I recommend. The remaining modules are quite good with none of them standing out in any way but they all do the job they are designed to do. Roxio Creator has had a major overhaul over the past few years due to the company being bought out by Corel, the makers of VideoStudio Pro. The included programs pretty well match it pound for pound with the others as far as general functionality goes but it excels in two main areas. The first of these is in image editing where Corel have included their flagship image editor PaintShop Pro. By itself this is almost worth the price of admission alone if your emphasis on usage is for editing photos. None of the others could match this feature or even come close as it is a fully fledged “pro” image editing program. The other area it excels in is that of correction tools for video, audio and images. The suite comes with a wide range of features to clean up sound files, correct video files and manipulate images that far exceeds what any of the others can do. The video editor is OK as are the other features but as I say, this one is definitely for those wanting to deal mainly in images or have a need for correction technology.